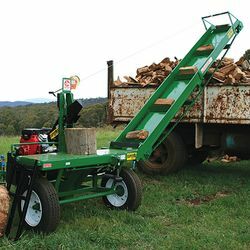 Whitlands Engineering designs and builds a small range of elevators, infeed hoppers and wood cleaners to further enhance efficiency in bulk firewood production – see below for details. Please note that the video above shows the WS4150 with the 3.6 meter elevator. Load your wood directly into your truck or trailer and save double handling. This 3.6m Elevator fits to the WS3150 & WS4150 Superaxe models. The elevator will reach up to 3 meters and folds for travelling. 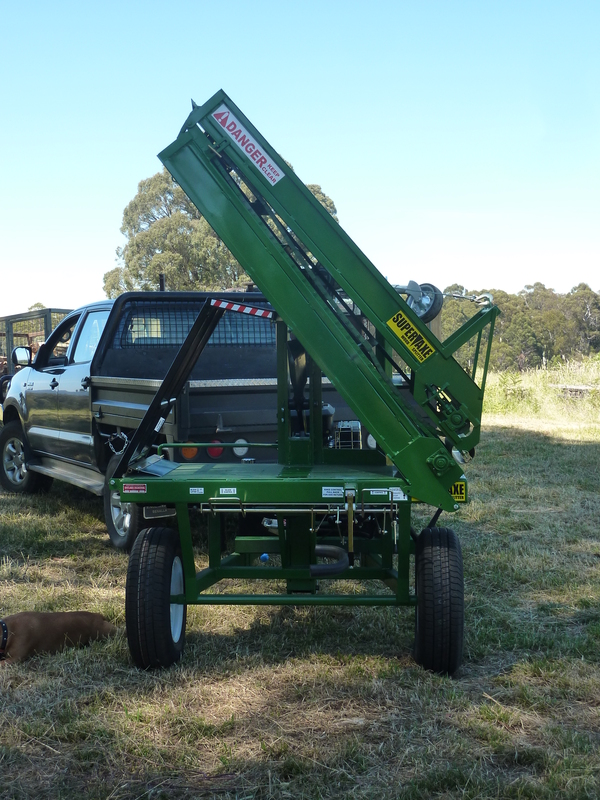 It utilises a manual winch mechanism to fold and unfold elevator and set up takes only a few minutes. Also ideal for stockpiling6, 9.5 & 13 meter free standing elevators give more height and allow for easy positioning. The 9.5m & 13.5m models are able to load high sided trucks and can also be optioned with radial stack axles. 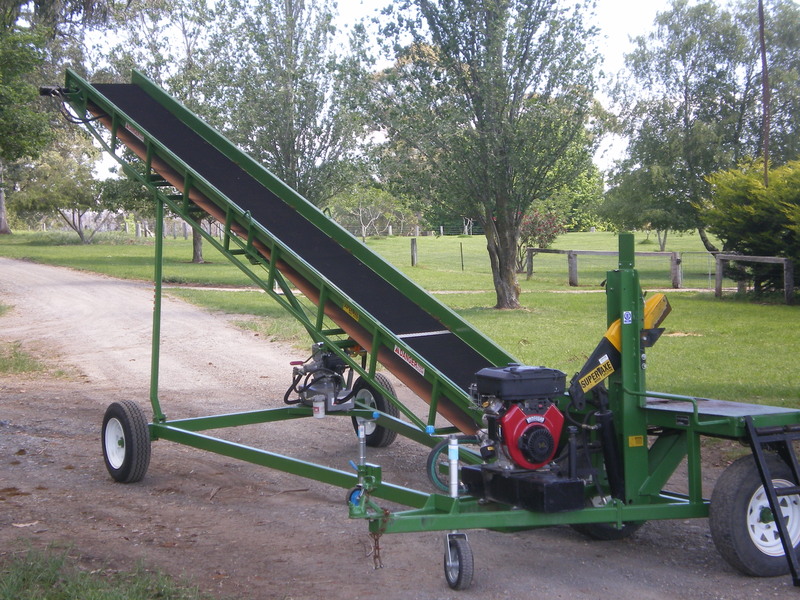 There are options to power the elevator by a 6hp engine or by the hydraulics on the wood splitter. Units are yard tow-able.